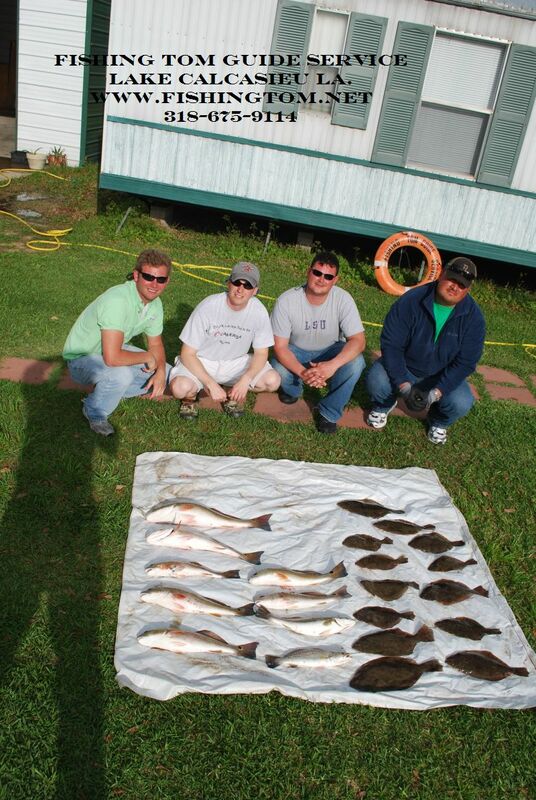 March 31, 2011 Ken Chaumont from Stanley & WedgeTail Baits Visits Lake Calcasieu! 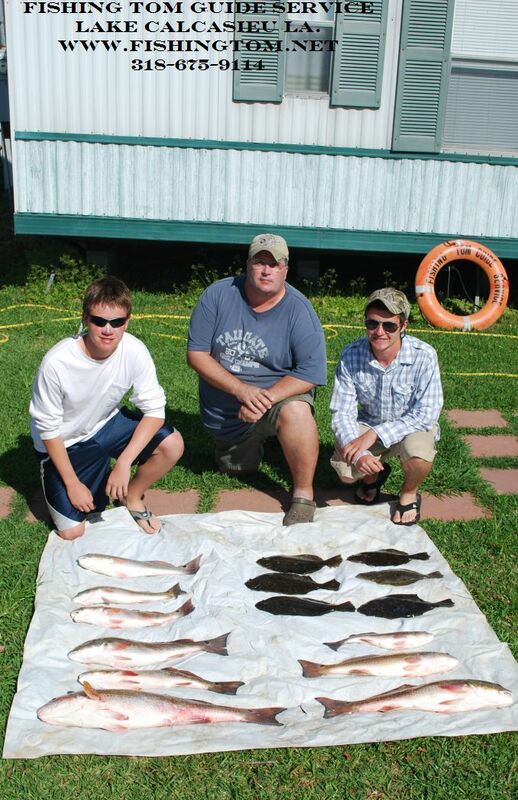 March 20, 2011 Jeff P. and Sons Brandon & Aaron Catch some Big Lake Spring Break Beauties!!! 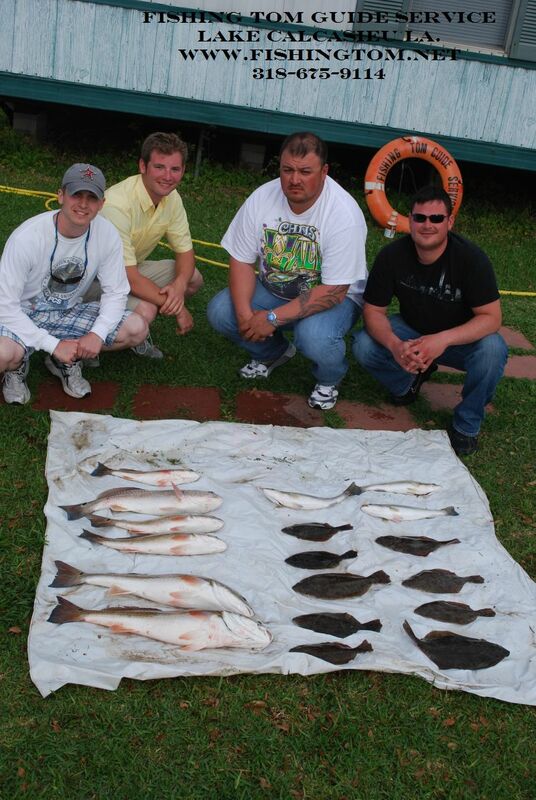 March 20, 2011 Jeff P. and Sons Brandon & Aaron Catch some Big Lake Spring Break Beauties!!! Things started with a bang on the 3rd cast of the trip Brandon hooks a nice 10 pound 34 inch Lake Calcasieu Redfish. Berkley Gulp Swimming Mullet under a cork was the winning bait for Brandon. Shortly after Aaron caught a nice 30 inch 7 lb Red. It was a great Spring Break family trip . It was their first time on Lake Calcasieu but they can,t wait to come back for more action as soon as school is out ! March 13 2011 Mario & Friends Day 2 & More Big Lake Slams! March 13 2011 Mario & Friends Day 2 & More Big Lake Slams! The Flounder are returning to Lake Calcasieu in some good numbers and these guys being good Bass Fisherman were great at working a Berkley Gulp Shrimp on a 1/4 oz jig just like a worm and catching a nice mess of Flounder. Mario had a Big Red ! How Big Was It??? So Big we thought it was a snag ! Untill it stripped of about a 100 feet of line and broke him off!!!! We saw it rise and I’d guess 10 to 12 lbs. These guys had such a great time they booked another trip in June! March 12 2011 New Season Starts With a Mixed Bag ! March 12 2011 New Season Starts With a Mixed Bag! 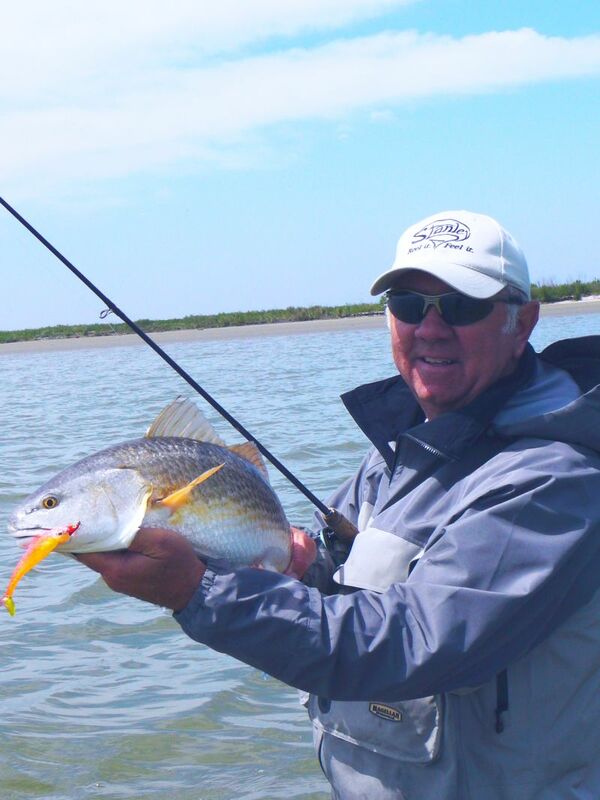 Spring has begun with high winds but armed with Berkley Gulp Mario, Patrick, Harmon, & Daniel managed some nice Reds and Flounder. These guys had a great time catching fish and a few other things including oysters and each other. I was a bit surprised that dispite muddy conditions they added a few trout to start the season with a couple of Lake Calcasieu Slams!